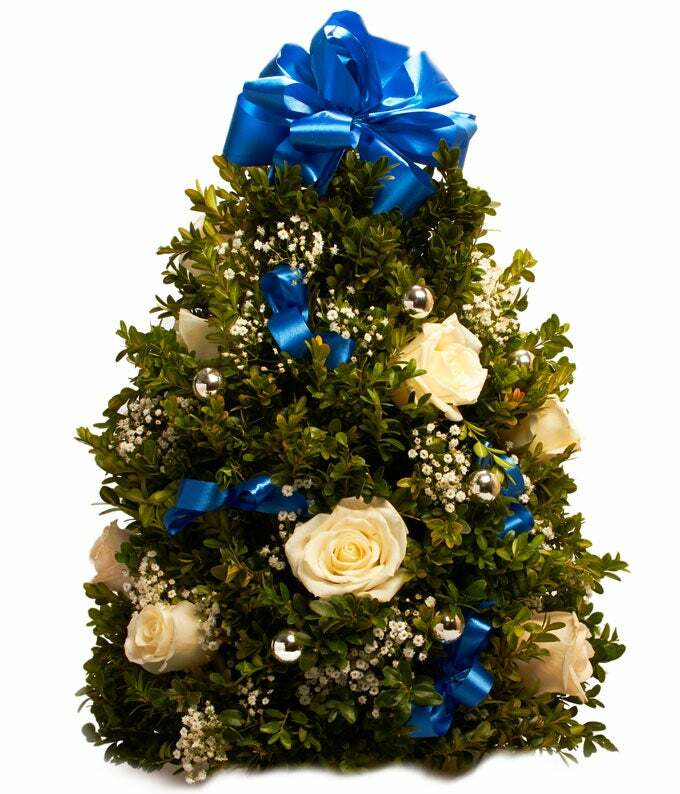 Have yourself a lovely blue Christmas with this mini Christmas tree decked out in creme roses and blue ribbons. Not your traditional red and green, this mini tree will give your home a fun holiday feel. Arranged and delivered by a local florist.